Varenyky, Ukrainian Dumplings with filling are famous all over the world and known since ancient times. In traditional Ukrainian cuisine Varenyky was one of the most popular ethnic dish in Kyiv Rus. 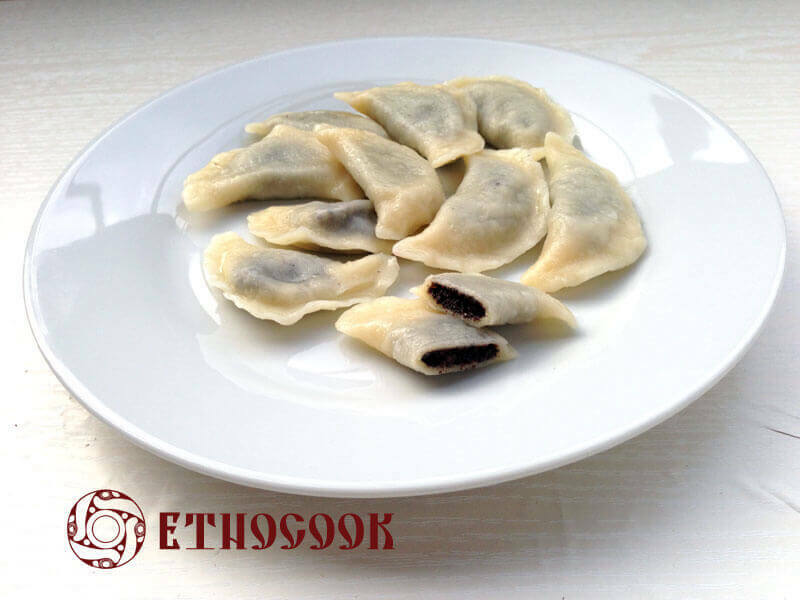 The traditional Ukrainian dish Dumplings with poppy seed filling (Varenyky z makom, ukr.) is very special. It symbolises harmony as poppy seed (mak) symbolises men’s power and dumpling (varenyk) itself is a symbol of women’s power, childbirth. 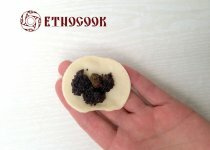 Ukrainians used poppy seed (mak, ukr.) for cooking for centuries and associated it with stars in the space. The word “Pyrogy” is the ancient Slavonic word “pirogъ” that is – formed from the word “pirъ” (“feast”) with the suffix -ogъ or from the word “руго” (“wheat”), the ancient slavic word “pыro” under the influence of the word “pirъ” (“feast”). The word “Varenyky” is from the word “varyty” (“to boil”). 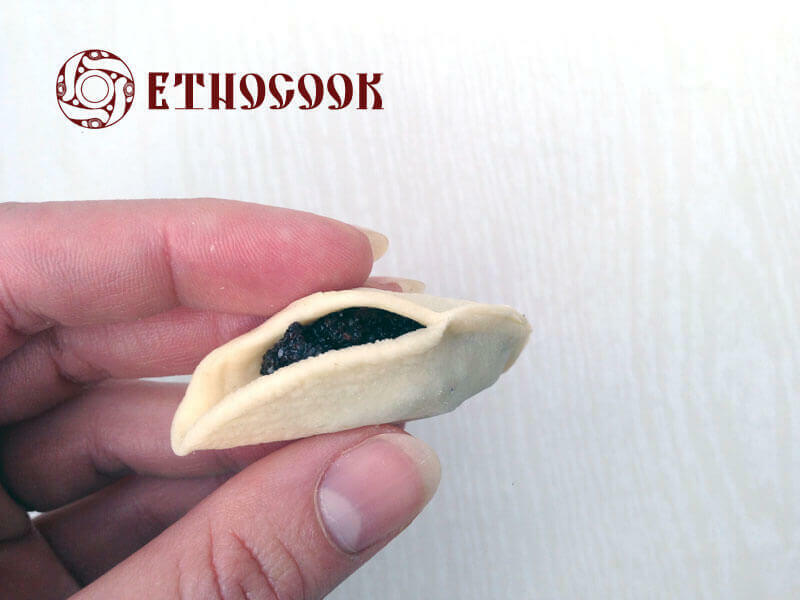 Pyrogy (Pyrohy) or Varenyky is one of the 12 sacred dishes on traditional Christmas dinner that were formed in 8-9 centuries before the adoption of Christianity and were then inherited in Medieval Ukrainian cuisine. 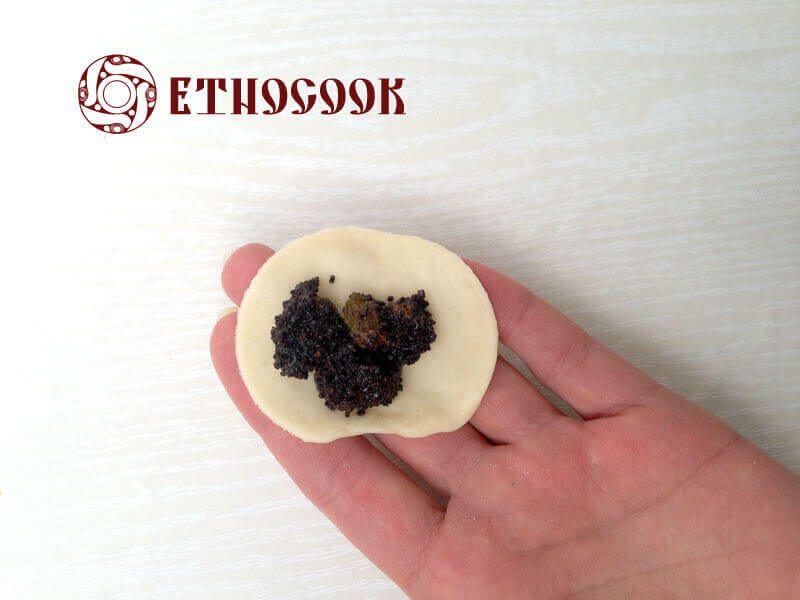 Ukrainian traditional ethnic dish Varenyky can be with different fillings, vegetables, meat, cheese, berries, poppy seeds. There was no potato in Ukraine until it was brought from South America in XVI century, so varenyky with potato filling are not the ancient variant of dish. One of the most popular fillings of Ukrainian dumplings in was fresh cottage cheese and dill. 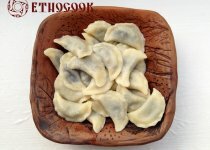 See also traditional Ukrainian recipes from the the cooking blog of ethnic Slavic cuisine Etnocook: Varenyky (Pyrohy), Varenyky with cheese and vegetables filling (steamed), Varenyky with sauerkraut filling. Varenyky is so important Ukrainian dish that there are monuments to them in Ukraine and all over the world in other places where Ukrainians lives. 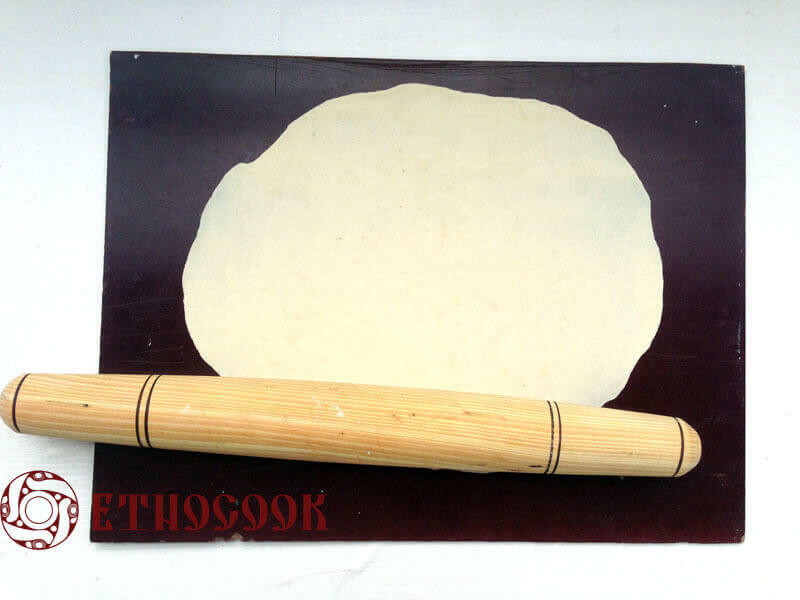 In Ukraine was a tradition that the first dish in ancient times that mother ate after childbirth was Varenyky and people who cooked them wished her to have a lot of children and said “Be always full like varenyk”. Mark the ingredients if you don't have some of them and press "Save to Product List" button. 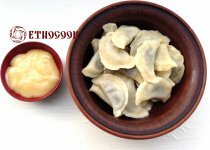 If want to know more information about the ingredient and see recipes where it is used then just click on it. Save to Products Listsave it! Ingredients are successfully added to Your Product List. Save it or continue reading. You can edit and save it any moment in the left sidebar or in the top menu. 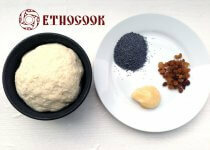 Prepare all ingredients for the Ukrainian traditional dish Varenyky (Pyrohy) with poppy seeds (mak, ukr.). Make sure there is everything needed for dough and filling from the product list. In warm water (2 tablespoons) mix salt and sugar (for dough). Sift flour, add cold water (1 glass, 200-250 ml), add water with salt and sugar, melted butter (can be replaced with vegetable oil). 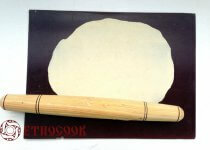 Mix well, if necessary, adding more flour until the dough becomes elastic and doesn't stick to your hands. Cover it with linen cloth and leave for half an hour. 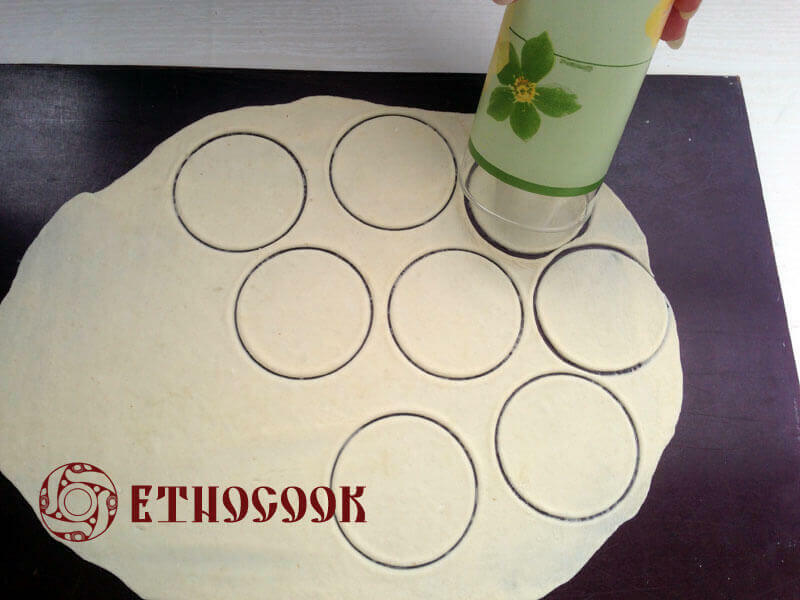 Then roll thin dough (1-2 mm). Soak poppy seeds in hot water (500 ml) for 30 min. Separately soak raisins in hot watter (500 ml) for 30 min. Then drain water from poppy seeds, add sugar (or honey) and grind propely. Drain raisins, add to poppy seeds and mix. 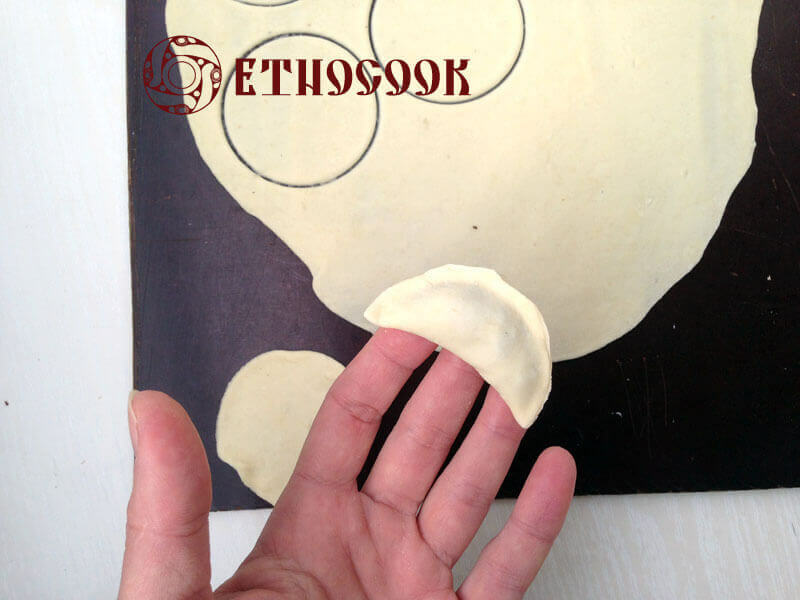 Put the filling by a small spoon in the middle of the rounds and press the edges. Varenyk (pyrih) has the form of a crescent. Varenyky are boiled in small portions (10-15 dumplings) in a big amount of hot salted water (3-4 tbsp. of salt for 3 l of water). When the water is boiling, reduce the heat to low, put varenyky, boil for 1-2 minutes, and remove with a slotted spoon into a deep bowl, add butter or oil and mix. 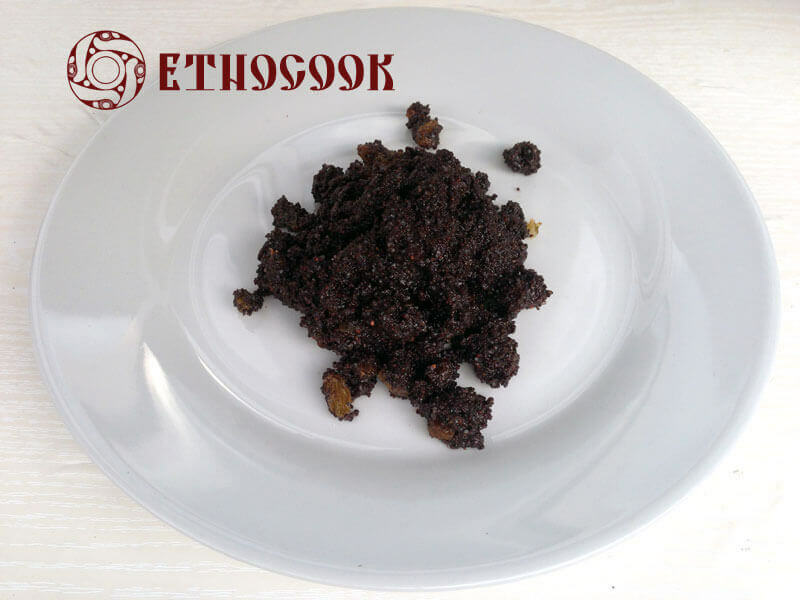 Serve Ukrainian Poppyseed Varenyky (Pyrohy) warm, add honey or sour cream to taste. Your products list is empty, put the ingredients you need to cook and save it for your next shopping. Save it! 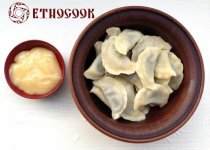 Etnocook - culinary resource with traditional ancient Ukrainian recipies. 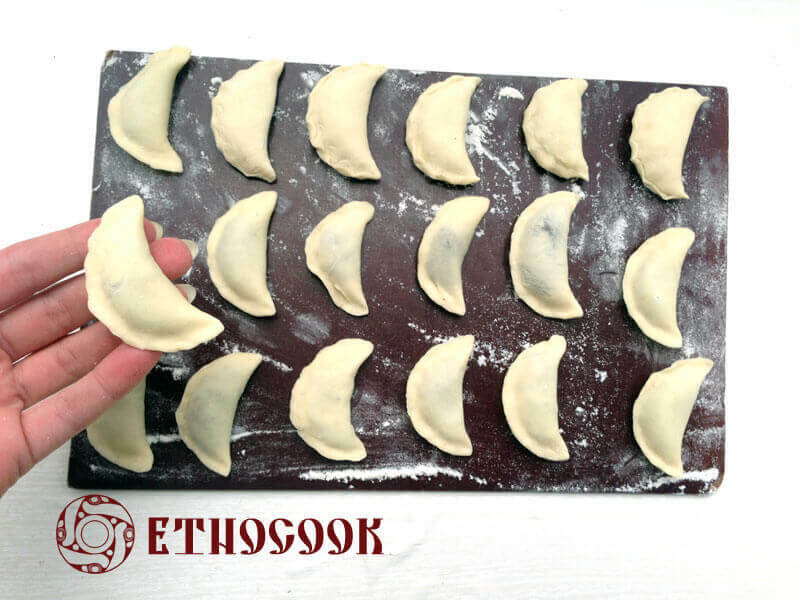 In addition to describing components, recipes, video cooking of ethnic dishes, there are also articles about the kitchen utensils and tools useful for the preparation of delicious meals.